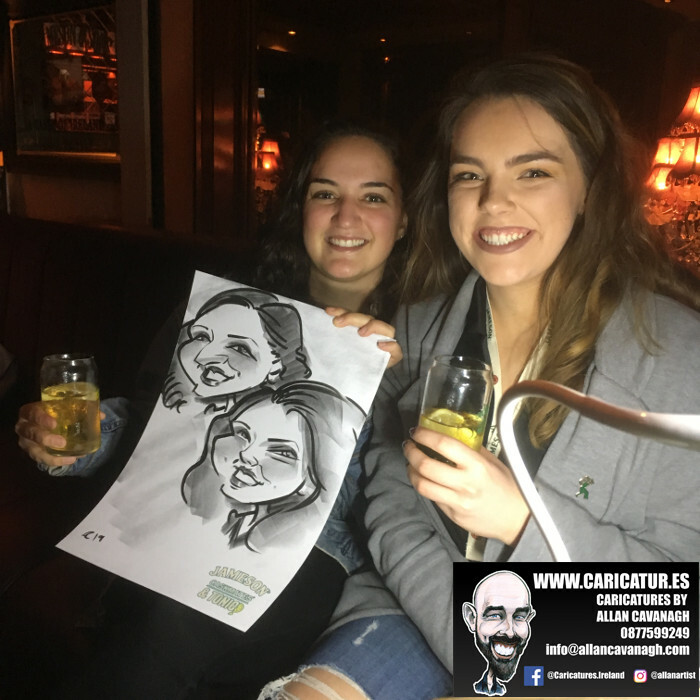 Live Caricatures Liquor Lounge: Live caricatures from a product launch for Jameson Caskmates and Tonic in the Liquor Lounge, Dáil Bar Galway. 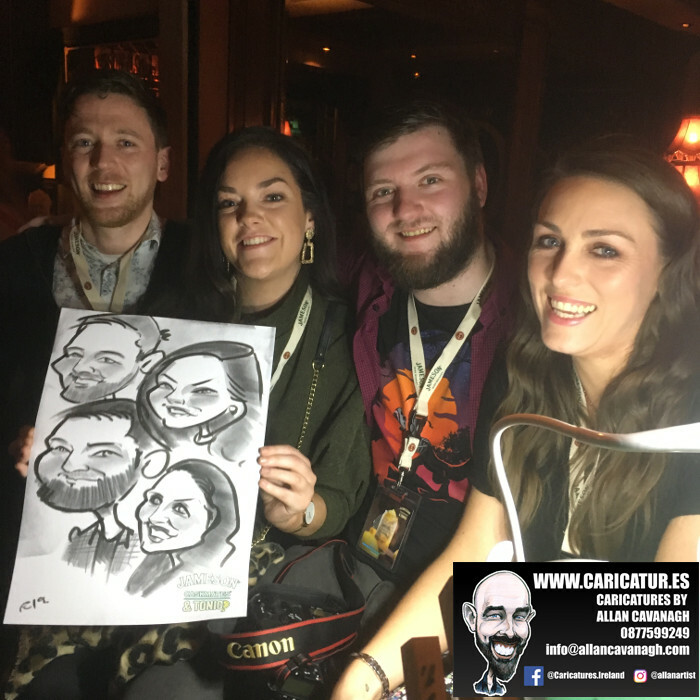 A tremendous night of fun in Galway with these lads and ladies. Thanks to the gang in the Liquor Lounge for having me! 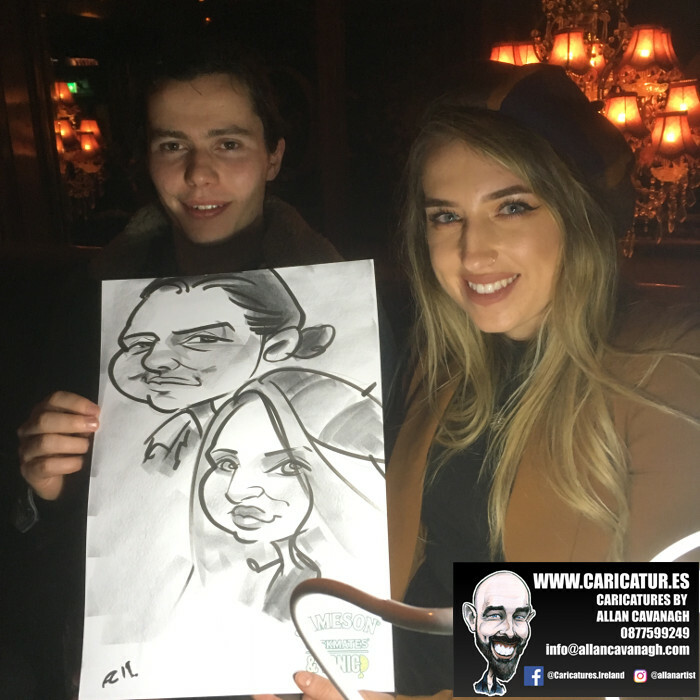 For my live caricatures for product launches I draw on pre-printed paper with the relevant logo date and other information clients would like included. 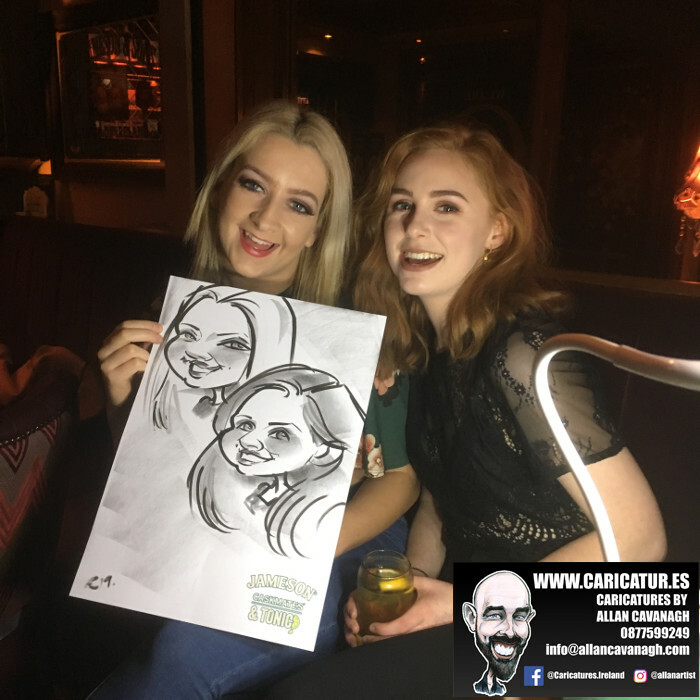 In the same way a branded calendar hangs in a home for the year, my branded caricatures hang in homes and offices all over the country for years and are seen by many other people besides the subjects of the drawings! 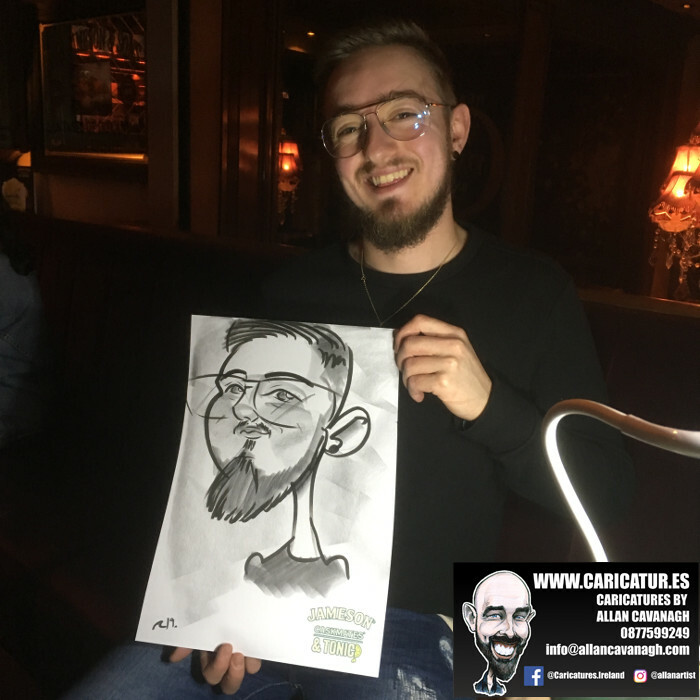 If you’re interested in having live caricatures as a unique way of promoting your brand or product please drop me a line today! 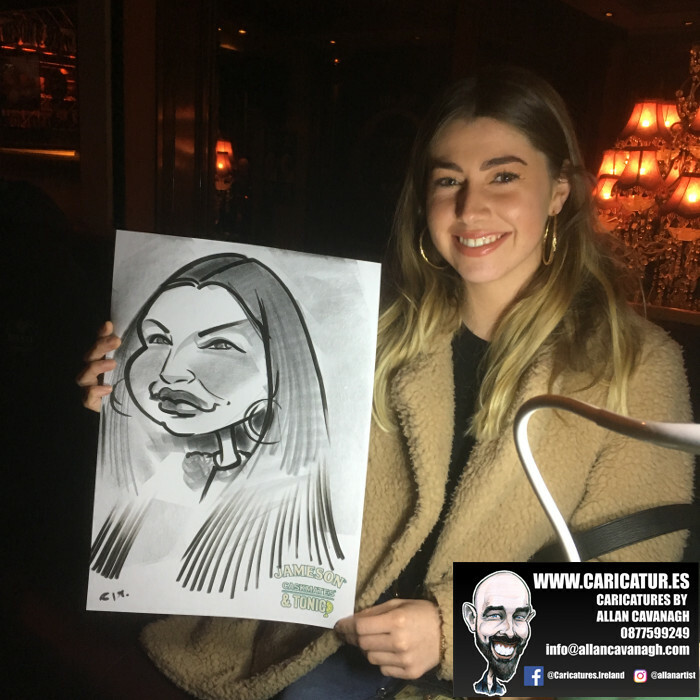 Live caricatures are a great idea for a creative marketing campaign. 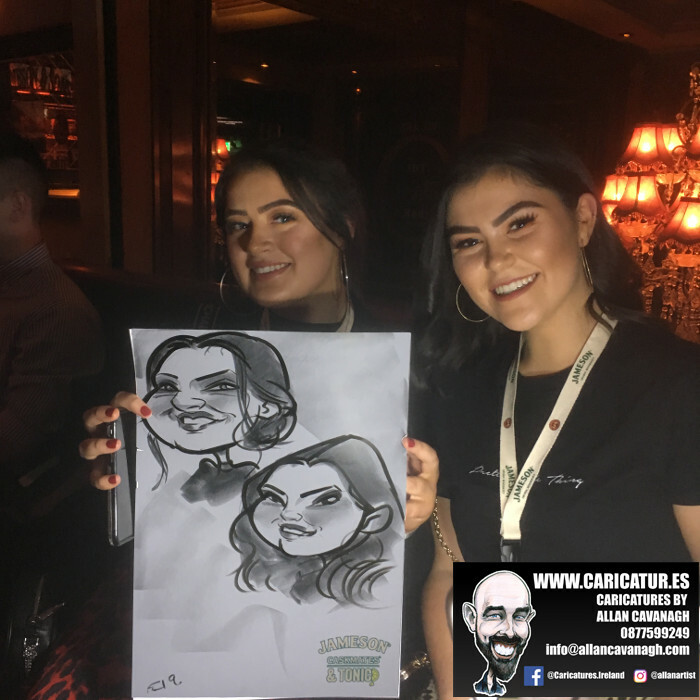 If you’re trying to come up with innovative marketing ideas for 2019, 2020 and beyond you should consider live caricatures. 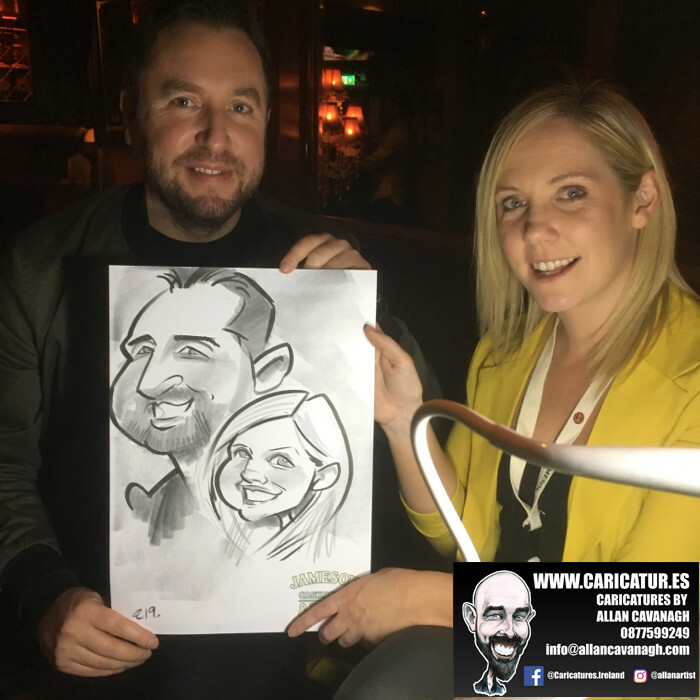 I’ve drawn branded caricatures all over Ireland from small businesses in Cork to multinationals like Google and Facebook in Dublin. 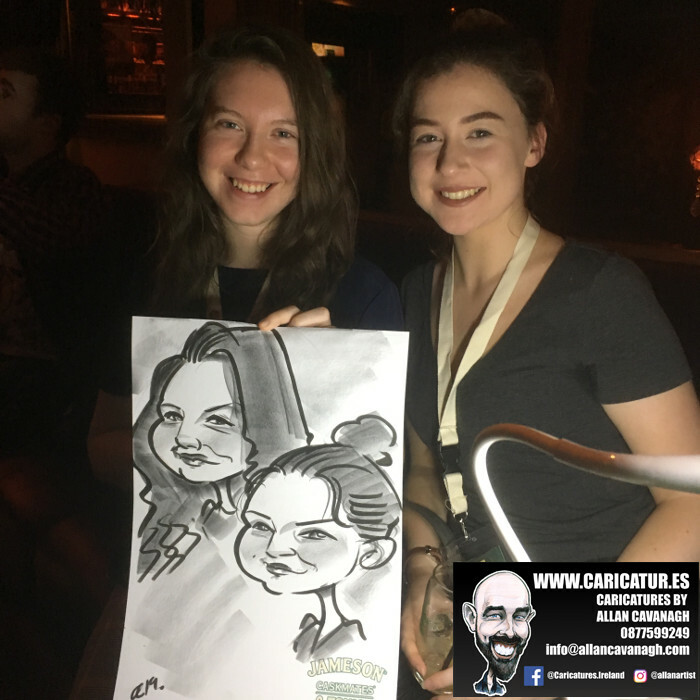 Many marketing materials end up in the bottom of a drawer within a couple of days of your event. 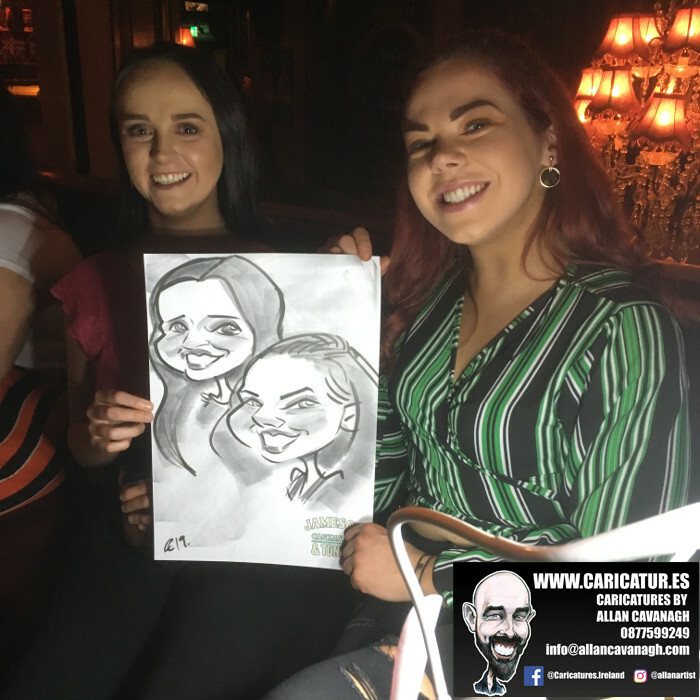 However a piece of caricature art created live for the individual is guaranteed to keep the interest and will probably end up in the frame on a wall! 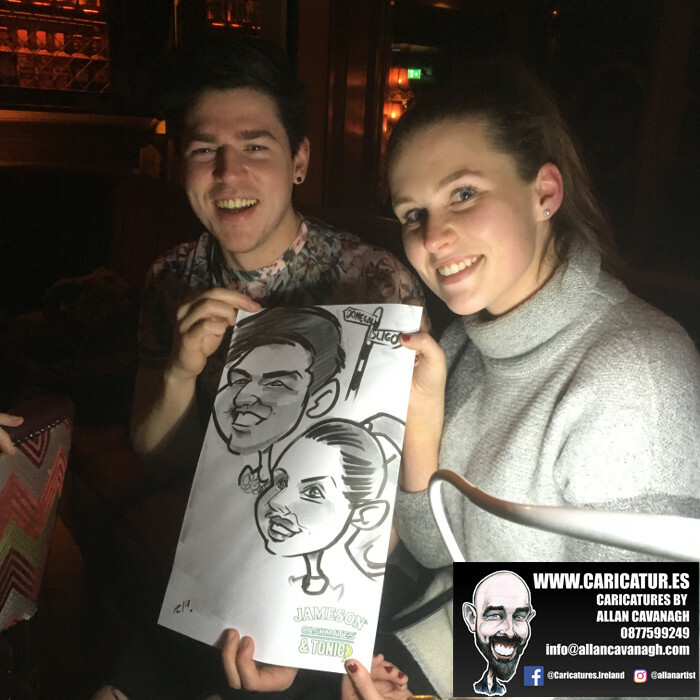 You want your marketing campaign to be memorable first and foremost. 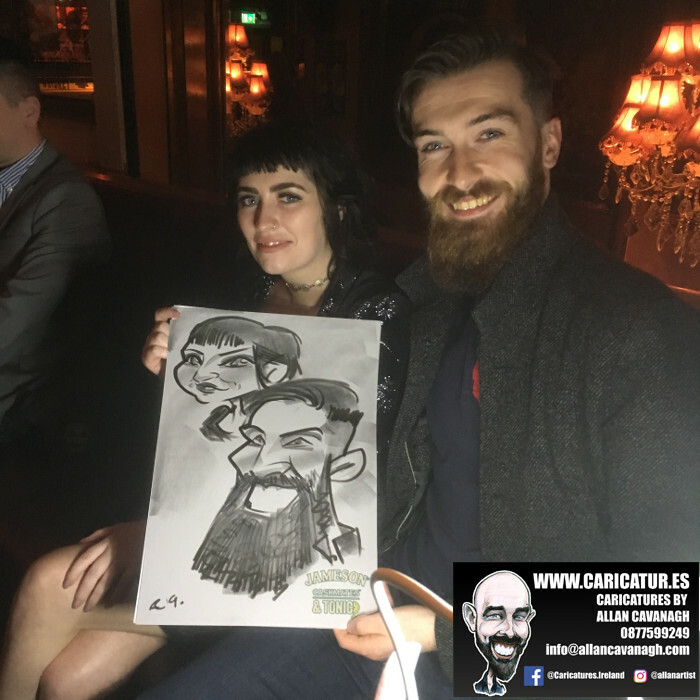 My live caricatures will certainly aid in that and you have the added bonus of my social media reach. 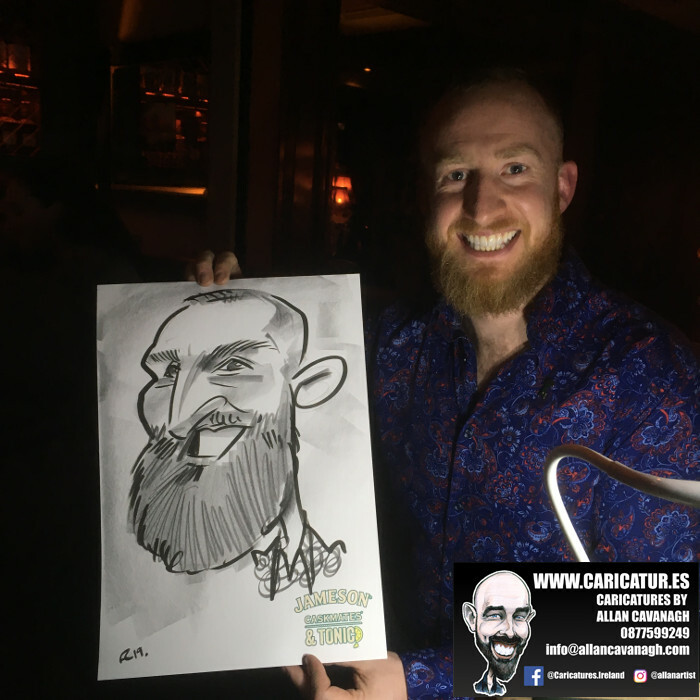 So if you’re putting together your new product launch checklist make sure you’ve added Contact Allan Cavanagh Caricature Artist and tick that box off as soon as possible! 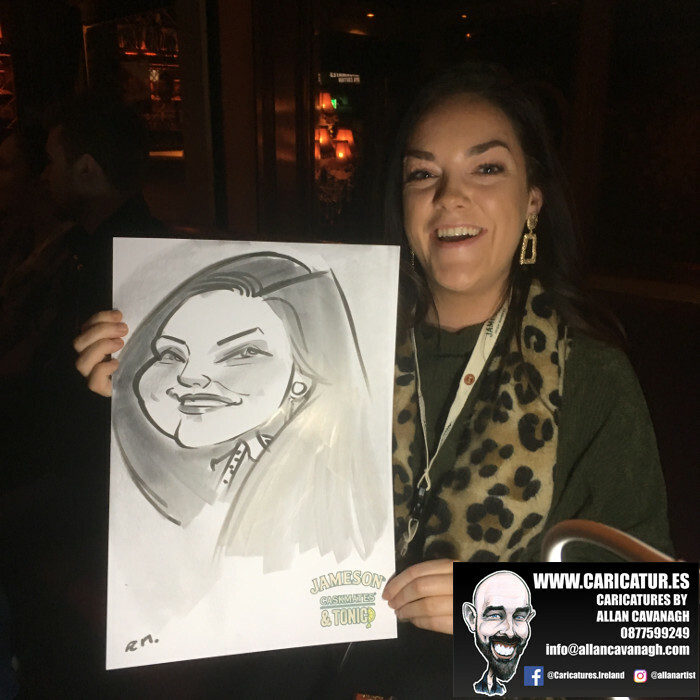 If you’d like to see more samples of my live caricatures for product launches, conferences, and staff parties please click here. 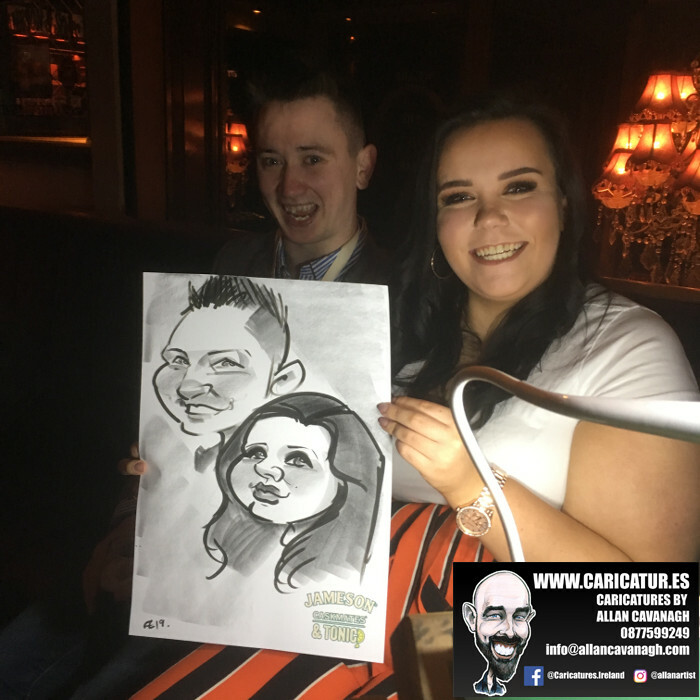 You can see samples of my wedding caricatures here and and my gift caricatures here. 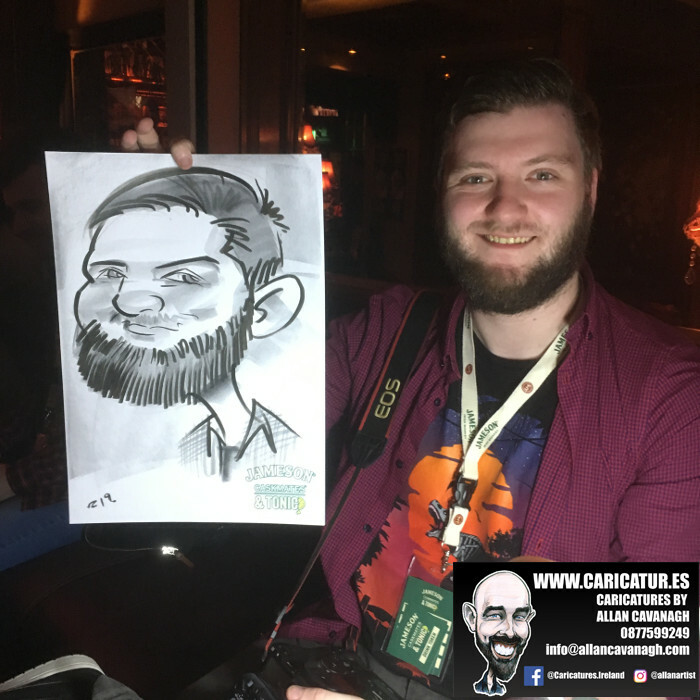 Thanks for reading and feel free to drop me a line at any time!